Sharia and Law College of the Islamic University of Gaza lecturer: "Kill the polytheists wherever you may find them" applies to the Jews. 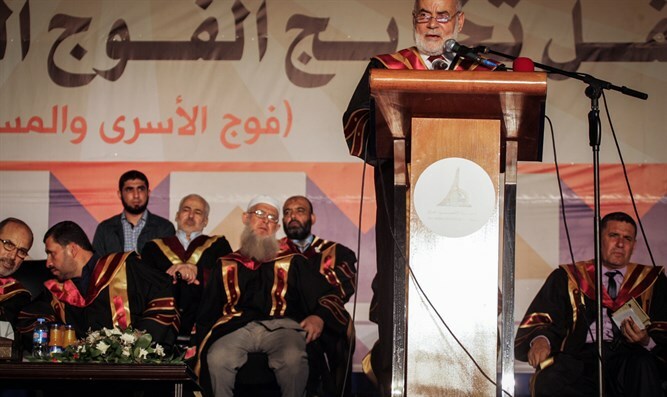 Gazan scholar Dr. Muhammad Suleiman Al-Farra, a lecturer at the Sharia and Law College of the Islamic University of Gaza, said in a February 3, 2019 interview on Al-Aqsa TV (Hamas/Gaza) that it is a religious duty to fight the Jews in Palestine who, he said, occupy the land, violate Muslim holy sites, and kill Muslims, reports Middle East Media Research Institute (MEMRI). Dr. Al-Farra said that the the Quranic verse that says "kill the polytheists wherever you may find them" applies to the Jews, and that all of "Palestine" is a battlefield between the Muslims and the Jews. He added that the Muslims must use any effective means to fight the "criminal enemy." He also said that the Jews may be captured for purposes of prisoner swaps. Dr. Al-Farra is a member of the "Palestine Islamic Scholars Association" and the "International Union of Muslim Scholars," which is headed by Yusuf Al-Qaradawi.